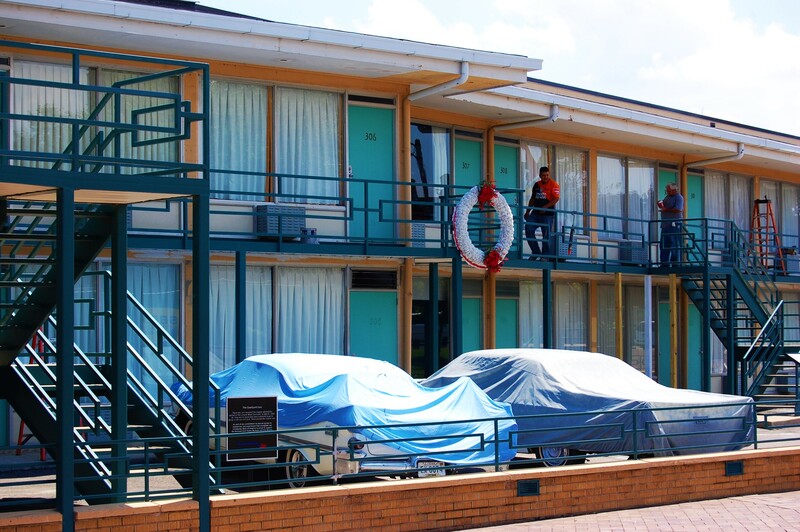 On April 4th 1968 a sniper shot Martin Luther King while he was standing on the balcony outside his room in the Motel he was staying in. He had gone to Memphis to support striking sanitation workers. White workers received pay if conditions were poor but black workers did not. Consequently black workers were forced to labour in blizzards and other terrible conditions which had resulted in deaths. Martin Luther King stood for equality in the face of hostility and death threats. He suffered abuse, physical attacks and lies from the media. It did not deter him. He was a brave man. The white supremacists had assassinated many civil rights leaders and supporters. They still, in 1968, wanted segregation and viewed black people as inferior. It takes a determined man to stand up in the face of death threats that you know have a foundation. This is the building that the sniper was in. 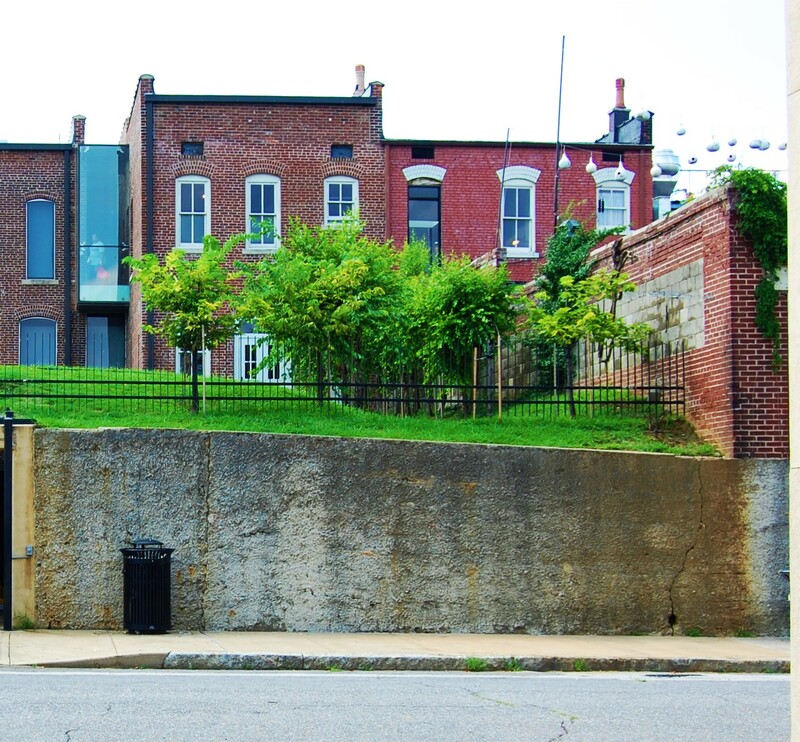 The shot that killed Martin Luther King came from here. Behind the wreath if the balcony on which he was shot. His room can be seen behind that. 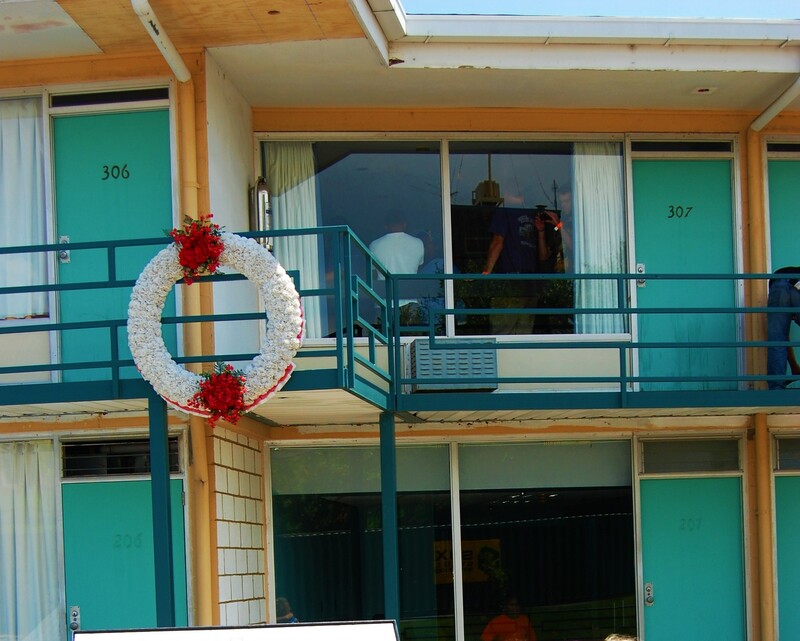 The Lorraine Motel has been turned into a museum/shrine for Martin Luther King. The room has been left as it was. Even the ashtrays. The cars are parked outside as they were on that night. We have come a long way in our quest for equality. We still have a long way to go. It is a journey best taken in love and friendship. ← Guanatanamo Bay – an offence to civilised behaviour. I need to write about how people can change, about me in the south in the ‘60’s, about Martin Luther King, then and now. Thank you, Opher. That would be great Linda. I look forward to it. Jennie I look forward to your writing. That would be super.